Anyway, I attended a press conference yesterday. It was held by the company that I work for (NCS4) and the Netherlands company we work with (INCONTROL) where they announced that INCONTROL will be opening an office here in Hattiesburg. I was asked to be there because I'm the only SportEvac student developer1 here at the moment2, and they wanted someone who had actually worked on the product at NCS4 there. I'm glad I actually kind-of dressed up that day and didn't just wear basketball shorts. We work on the 2nd floor of the Trent Lott Center and the event was on the 3rd floor, so I walk up a flight of stairs and into the room. There were a few other NCS4 employees and some other Southern employees there. Now while I work with these people, I don't actually "work" with them on a daily basis. I mean, we know each other but other than my boss and the center's director, I don't usually have anything to do with them. I mean, we don't even work on the same side of the building. So I basically just stood around awkwardly or talked a little bit here and there. A few mentioned that the new version of SportEvac3 was a vast improvement to the old version, and I would thank them. I hadn't been told how it went over at the conference so them telling me that was a great relief. 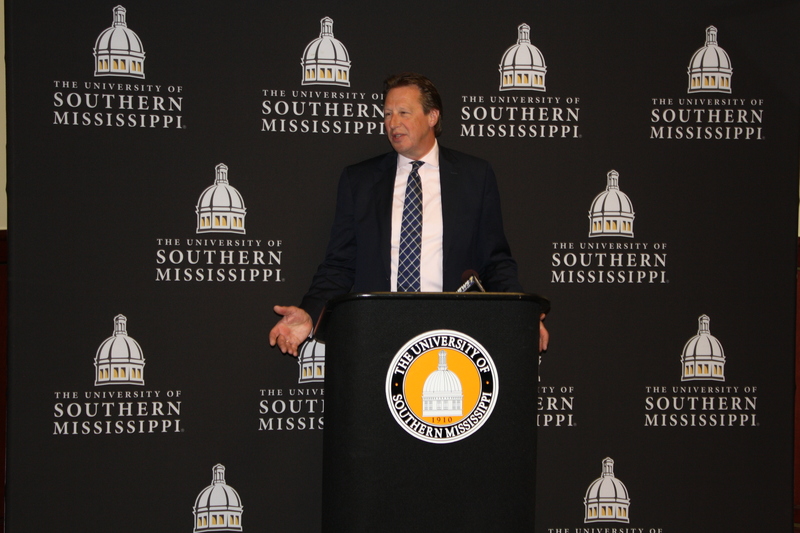 Oh, and I also was introduced to the President of USM, Dr. Bennett, by my boss before it started. So that was pretty cool. A few minutes later the CEO of INCONTROL, Louis Schijve, and his family came in. I had met Louis before when him and another INCONTROL employee visited NCS4 to talk about the possibility of a move. I think he remembered me because we spoke for a little while. His family introduced4 themselves to me and I to them. After waiting for WDAM-TV to show up, we started. I could say that moving to Hattiesburg was a part of my overall strategy, but that is bulls***. I liked him a little more after that. Then we had some finger foods. I had some kind of lemon squares and a strawberry. The Dutch spoke in Dutch unless they were talking to one of us. I certainly don't blame them; I would have done the same. After a bit, I went back down to the lab to work until I had to sit in on a meeting between Louis, Lou, Steve, and a lawyer about their future partnership.